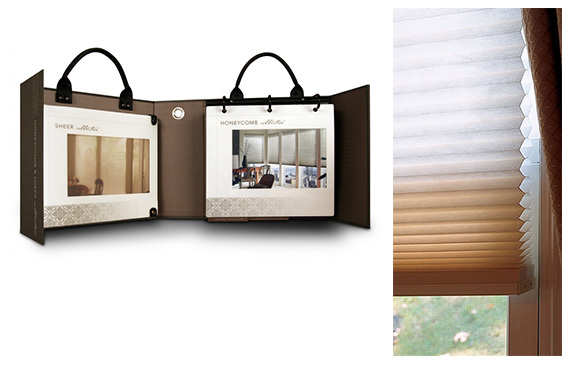 Honeycomb shades offer the best of Form…Function… Beauty… and Versatility. 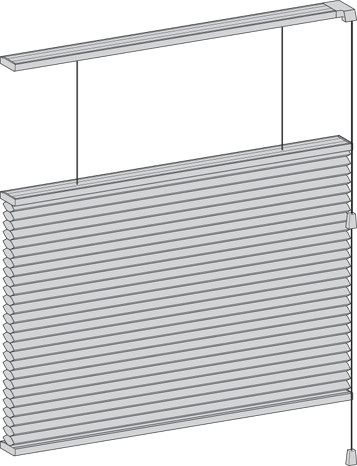 Honeycomb shades offer all of these features, making them the ideal choice to decorate any size or shape window. Enticing colors and fabrics combine with a host of specialty systems to harmonize with any décor in the home. Honeycomb shades also offer protection to interior home furnishings from harmful ultraviolet rays. Standard rail system is the traditional cord operating hardware system. 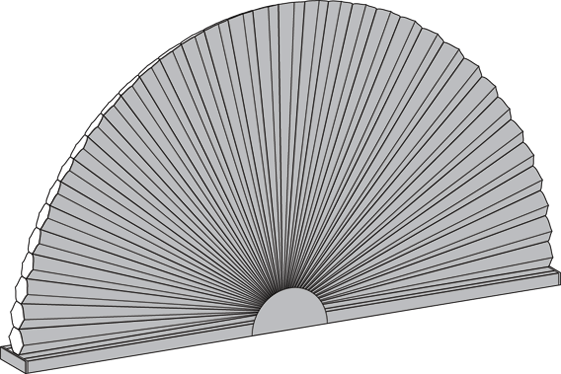 A shade with one rise looks like the standard shade in style, but has a continuous loop control that automatically locks at the desired height when raising and lowering the shade. A cord free shade eliminates potential safety hazards for children that are caused by dangling cords. Available in corded or cordless, the versatile twin fold shade allows the choice of lowering the top of the shade or raising the bottom. It is perfect for those places where privacy is needed while still preserving a view to the outside. 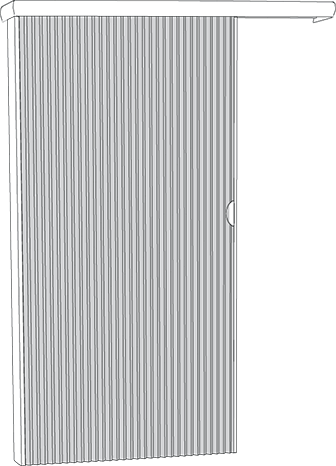 Available with RF or IR controls, a single shade or multiple shades can be lifted or lowered with a touch of a button. 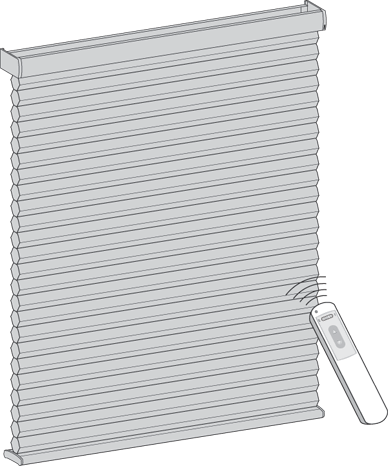 Motorization is ideal for hard to reach windows. For large windows, choose a 2-on-1 shade. 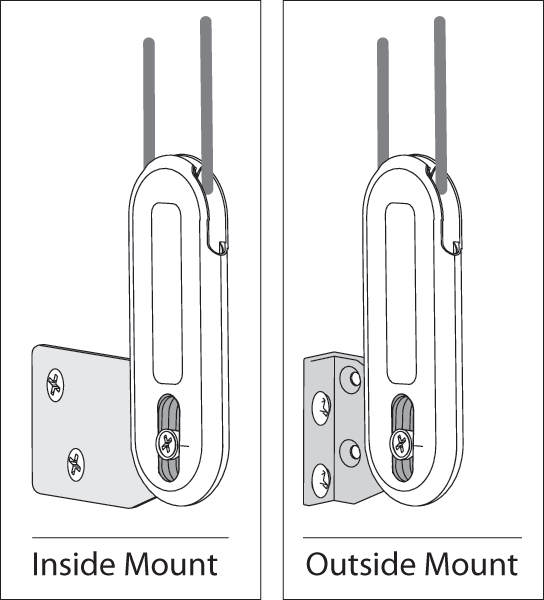 This style allows two shades to be mounted on the same headrail for wide coverage, independent control and practicality. 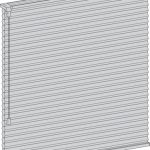 2-on-1 shades are available in standard and one rise lift systems. 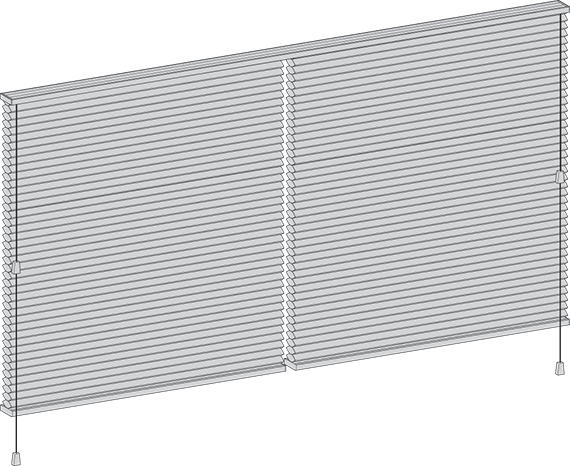 Verti-Cell is great for patio doors and room dividers. 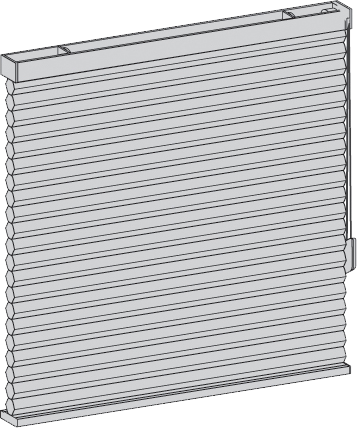 Fabric is mounted vertically to create vertical open and close operation. 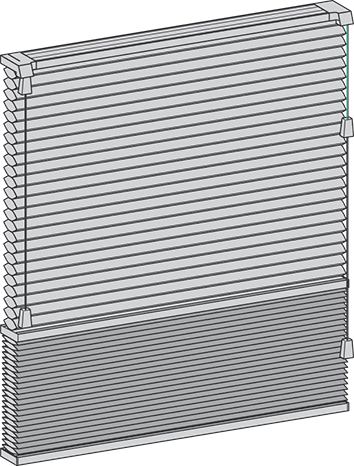 Available stacking systems are left stack, right stack, center stack or dual panel. A royal valance is included to finish the look. 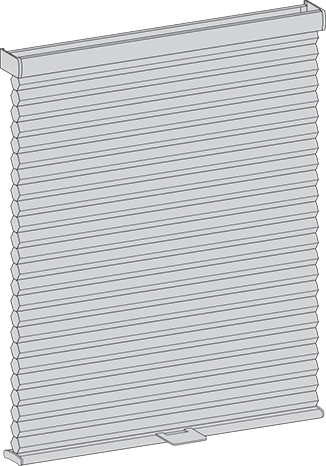 Verti-Cell is available in ¾” fabric only.